Topping Ceremonies for new office building. 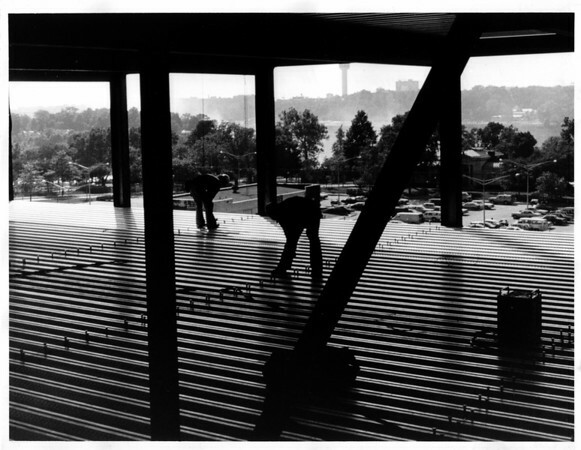 Workers on a floor preparing to pour concrete. Photo - By John Kudla - 9/29/1980.